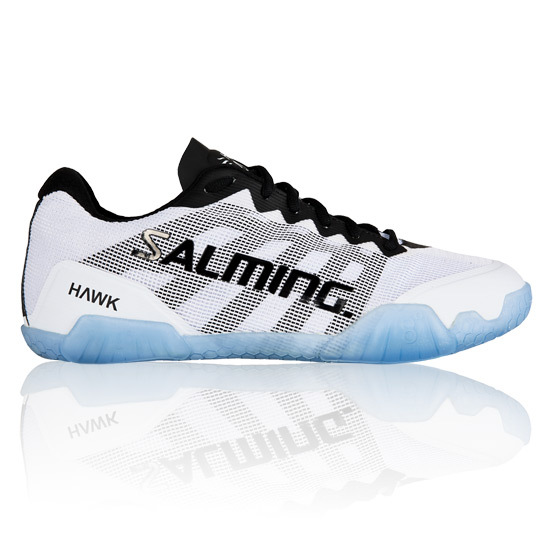 Salming Hawk Mens Court Shoes - Dominate the court in these indoor shoes. Hawk features a low to ground profile fuelled with energy, stability and an impeccable grip. The ExoSkeleton inner cage is connected to the lacing system and offers excellent support. 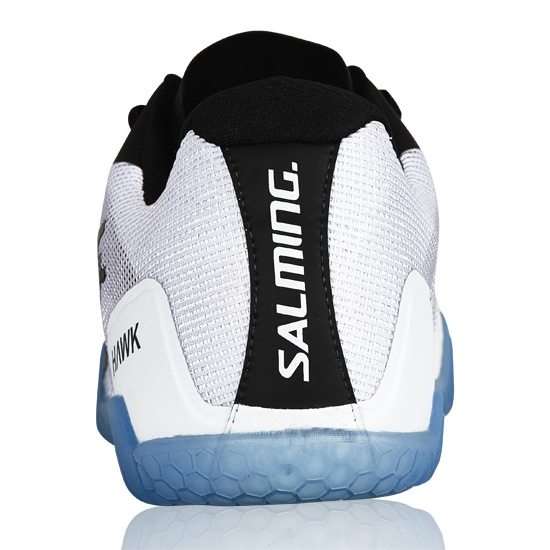 The HexaGrip outsole featuring two LMSplus 8°areas allows for stability during multidirectional movements. The new midsole Recoil ERF - Energy Rebound Foam - with its added offset cushioning heel area (SoftFOAM) provide energy return and comfort in every step. 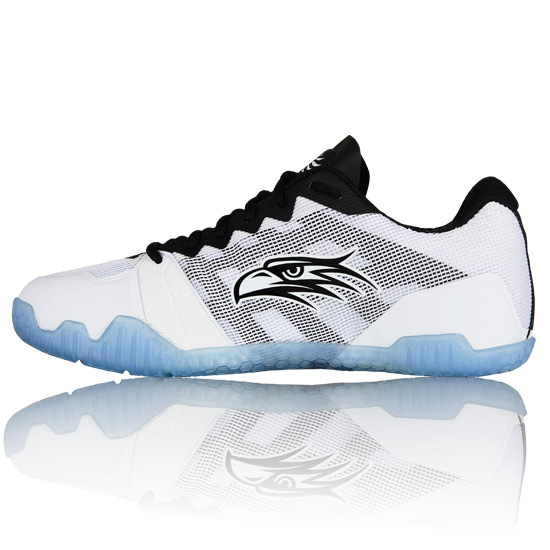 The upper is a 6 layer construction with air mesh for maximum breathability. RollBar™- An increased radius on the inner side of the outer sole, facilitates rolling the foot inwards and toe push off. Reaching for a distant ball is made easier with the Roll¬Bar™ technology. HexaGrip™ - A new very durable lightweight rubber compound - HX120 - that features Salming’s HexaGrip™ pattern designed for the best possible grip on all indoor surfaces. RunLite2™ - The RunLite2™ midsole features a special High Abrasion Injection EVA, designed to create a nice feel for the ground. 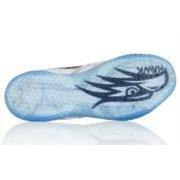 The mid¬sole is light and responds to the surface in a flexible way from the very first step. 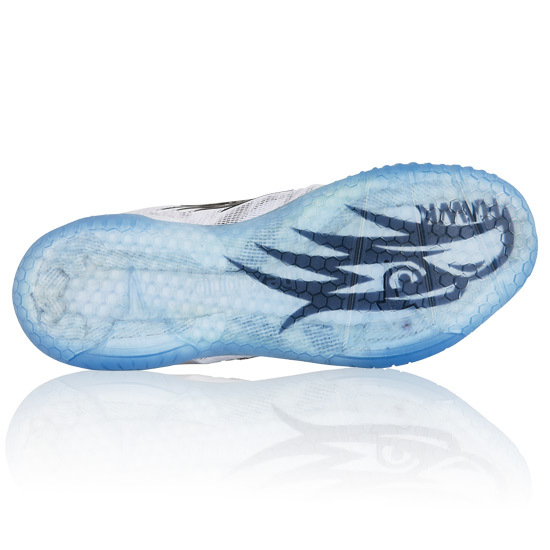 Recoil ERF - The material in the midsole is a newly developed compound named RECOIL ERF which is a super lightweight cushioning compound that releases a higher rebound energy effect. The Recoil ERF – as in Recoil Reduction – is a cushioning compound featured in the heel impact zone designed to reduce impact forces and increase comfort when lunging. 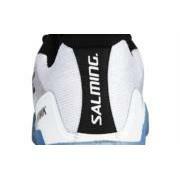 SoftFOAM™- A cushioning compound featured in the heel impact zone designed to reduce impact forces. The SoftFOAM™ heel insert area has 70% bet¬ter shock absorbing properties than standard EVA midsole. The RECOIL™ and SoftFOAM™ combined - creates a sandwich construction made to maximize your performance. T.G.S 62/75™ - The distance from heel to the ball of foot (62% of the shoe) has been designed with extra stability, which ends in the so-called “ballet” line, a 75° angle. In front of the 75° line, we have equipped the shoe with greater flexibility to stimulate the foot’s natural movements. The TGS 62/75° feature assures that the shoe bends in exactly the right places, stimulating the foot’s natural lateral and forward movements. LMS+ and LMS+ DUAL - Fast lateral stops expose the foot to the risk to roll over outwards, causing injuries. LMS+ (Lateral Movement Stabilizer Plus) is a unique design with a positive angle of 11° and 8° that prevents the foot from rolling over outwards.